Done another overnight bus to nha trang, not comfortable at all. You had locals being picked up along the way sleeping down the aisles, very strange! Stayed 4 nights in a backpackers place which was ok. Really close to the beach and it was a nice long sandy stretch. Went to the mud baths and hot spring centre with a few otehr girls. It was a nice day out, got to swim in a really hot pool and then a cooler one aswell. The waterfall was good to relax under too. We ended up going to a bar called Oasis for 2 nights in a row as the Vietnamese couple who ran the place were from Australia and we just got on really well with them. He gave us alot of free drinks, shots and pizza which was nice. His girlfriend recommended we go for a massage where she goes. We went the next day it was amazing. It worked out to be about 2 pound for an hour (prob becaause its where the locals go) and it was done by blind people. Best massage ever! 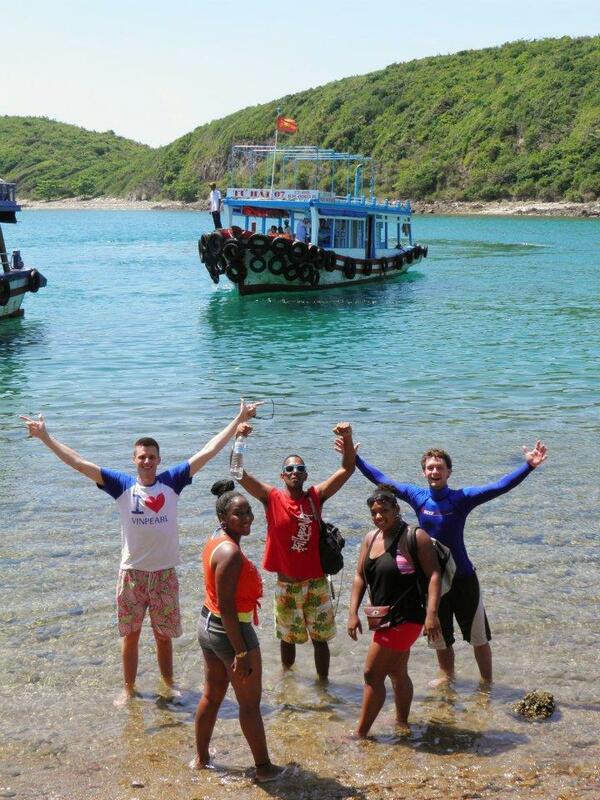 We also went on a boat trip where you go to 4 different islands, walk around, chill on the beach and snorkel. That was really fun, met some cool people too. The lunch was great and inlcuded in the price too. We got to relax in the sea in rubber rings with free drinks from a floating bar, so much fun! Some of the guys were jumping in from the top of the boat. This was my favourite place in Vietnam by far. Lots to do, cheap and met cool people.